WASHINGTON -- President Barack Obama says the Islamic State group cannot be tolerated and must be destroyed. He says the U.S. and France must destroy it together. 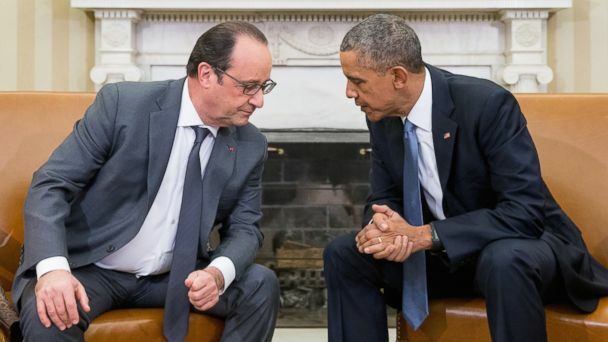 Obama is speaking after an Oval Office meeting with French President Francois Hollande (frahn-SWAH' oh-LAWND'). Obama says he and Hollande agreed the nations in the U.S.-led coalition must do more together to fight the Islamic State.